Durable punch and die holders are essential for high quality, repeatable stamping and die cutting. American Punch understands the needs of today’s metal working and steel working operations and we can provide the die and punch holders you need. 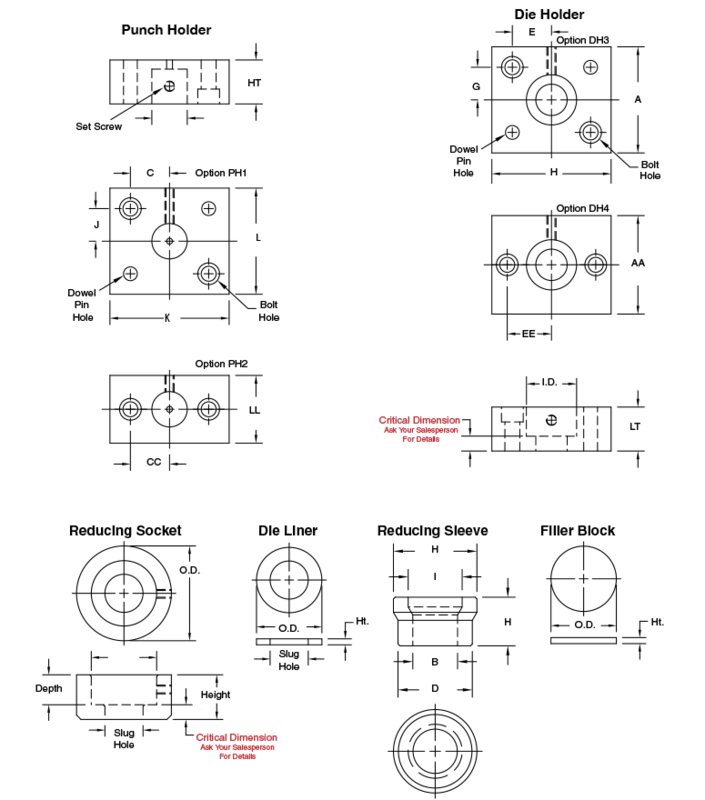 Review the drawings below and then call us at 1.800.243.1492 to speak with our knowledgeable sales staff. Send us your details or supporting document by clicking the “Send Details” button below.